JOEY ROO is a special creation in honor of Australia's native people the Aborigines. 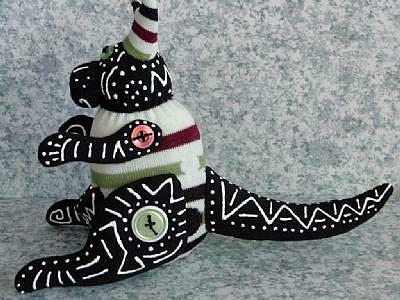 She is an original, one of a kind artist creation sock kangaroo doll, a critter cousin of the well known sock monkey of yesteryear. 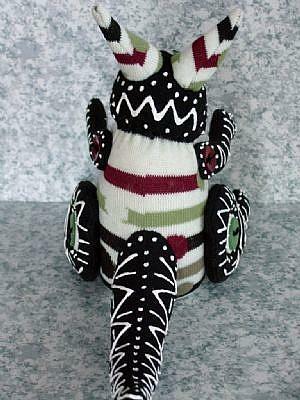 JOEY ROO is made from a vanilla cream, earthy red, and sage green striped sock with a black heel and toe and a few random dots. 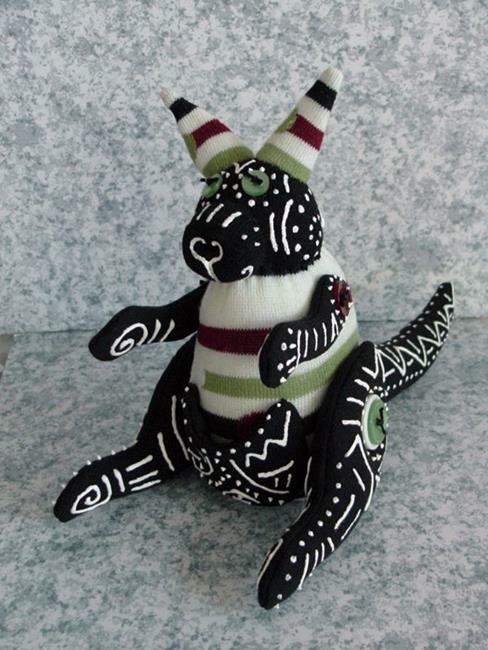 Her legs, tail, and pouch are made from scraps of black sweatpants and decorated with white fabric painted in my interpretation of Aborigine tribal design. The sock head is also painted the same way. The eyes are buttons and all four legs are button jointed and moveable. She is house broken, well behaved, and quiet, unlike some of her Aussie counterparts. 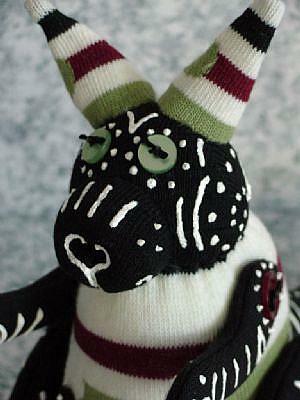 JOEY ROO is my entry in the October Nibblefest Art Contest, a themed art contest occurring each month. This month's theme is NATIVE/TRIBAL.